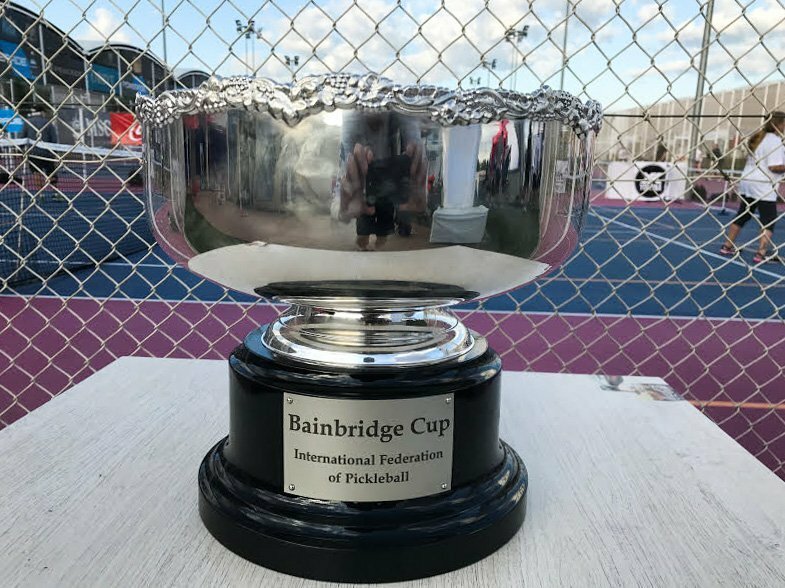 Another first in the history of pickleball – The Bainbridge Cup. Madrid, Spain showcased this one-day competition which placed Team North America (USA/Canada) against Team Europe for a day of high-spirited enthusiasm and intense competition. Each team had 100+ players of all ages and skill levels. The cool thing was that each win (no matter the age or skill level) earned their respective team one point. As the day progressed, team scores were displayed allowing players from both teams to joke with opponents further adding to the fun atmosphere and the feeling of true, team spirt. The actual cup was a big hit. All day long players, teams and clubs posed with the cup capturing a variety of fun and memorable photos. The team captains for Team North America were Marcin Rozpedski, Alice Tym and Chris Thomas. Chris couldn’t make it due to hurricane Irma hitting the state of Florida, as was the case for a handful of US players. Team Europe captains included the always jubilant Leo González, Gema García and Ian Medhurst. Early in the morning, team captains rallied their teams while sharing jabs with opponents. 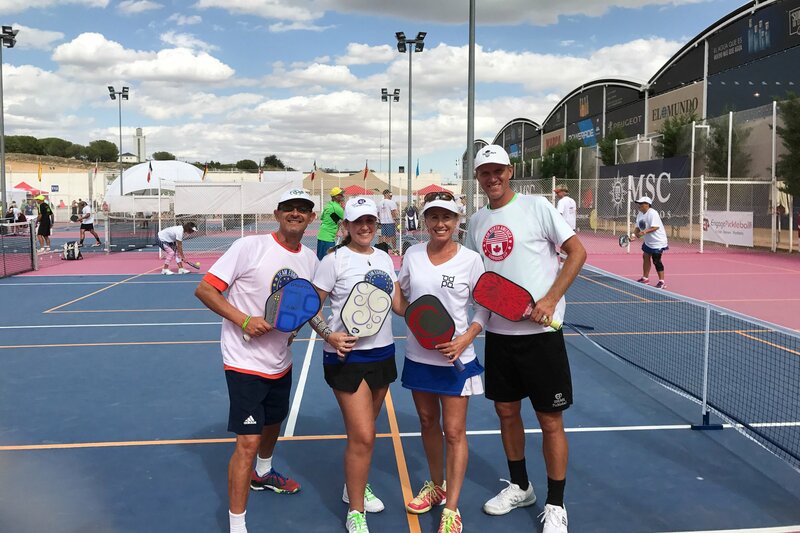 This “Cup” was the inaugural event of the International Federation of Pickleball (IFP) and is planned to be an annual event. Madrid is an awesome city with so much to see and do as down time allows. Many players either came early or extended their stay to enjoy the rich culture and amazing history of the region. 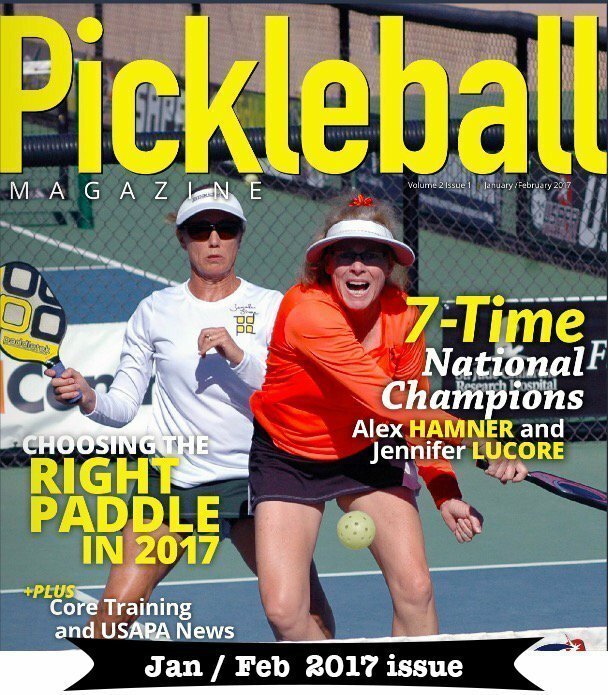 Check out Pickleball Channel’s Bainbridge Cup video here! 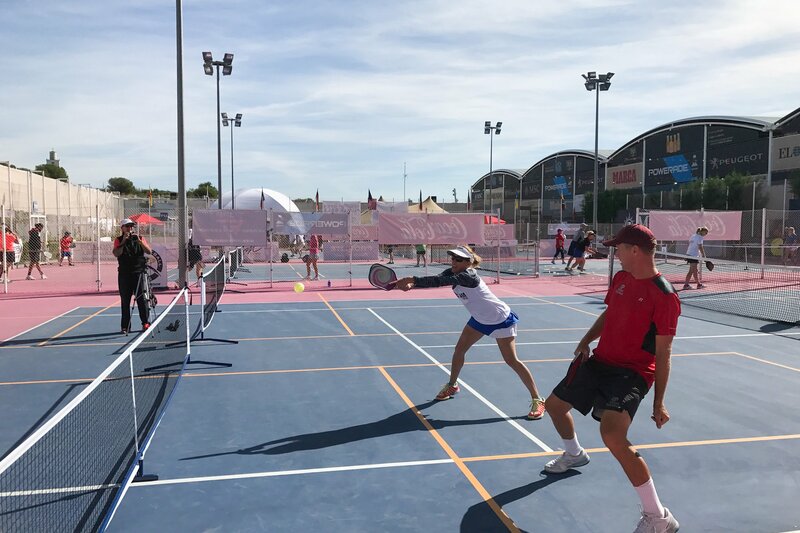 Mike Hess, President of the IFP and founder of the Spanish Pickleball Association, created the idea of the cup, and with help, actually made the event happen. Mike wanted to honor the inventors of pickleball, but with a few inventors the location of where the game was invented prevailed. 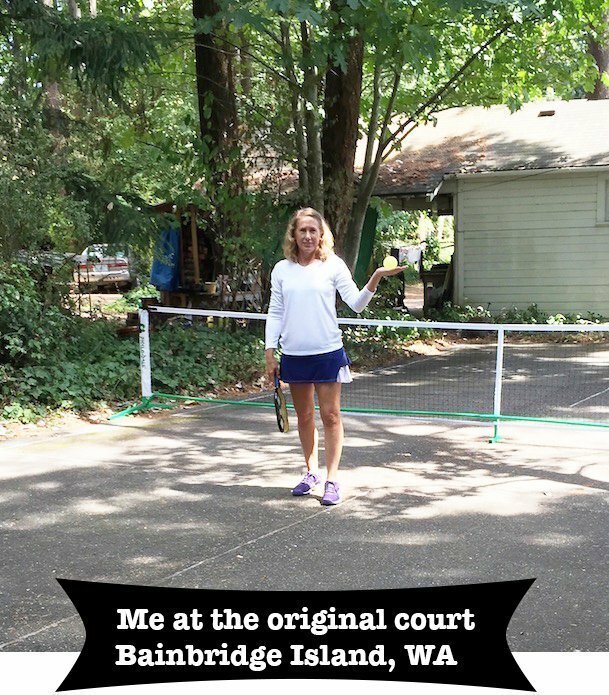 For those who aren’t aware, pickleball was invented on Bainbridge Island in 1965 near Seattle, WA. From the beginning Mike wanted to make sure that the tournament was structured so that each player was guaranteed a minimum of four games, which was accomplished by using a round robin format. This was nice because many players traveled from far away and they wanted a decent amount of time on the court. Using the same reasoning, the Spanish Open, which was played the following two days, also incorporated a round robin pool to set the draws. 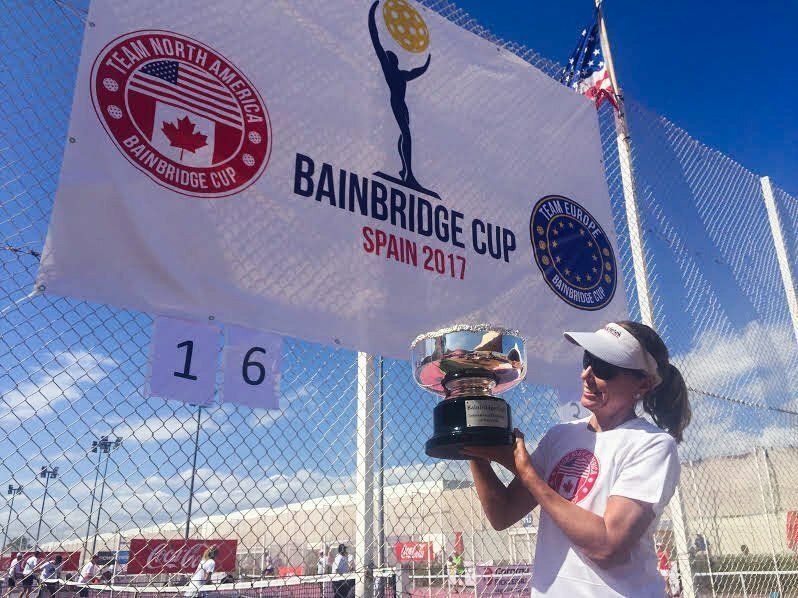 At the end of the day, North American (USA/Canada) had 200 wins and Europe had 102 –Team North America will be taking home the Bainbridge Cup for 2017! Will you be there for 2018? Sounds like you had a great time at the Cup. I’m very interested in that format and would love to put together something similar in Florida….Maybe a North/South/East/West Florida competition….Could you please forward to me any details regarding the setup and match setup info. you can recall….